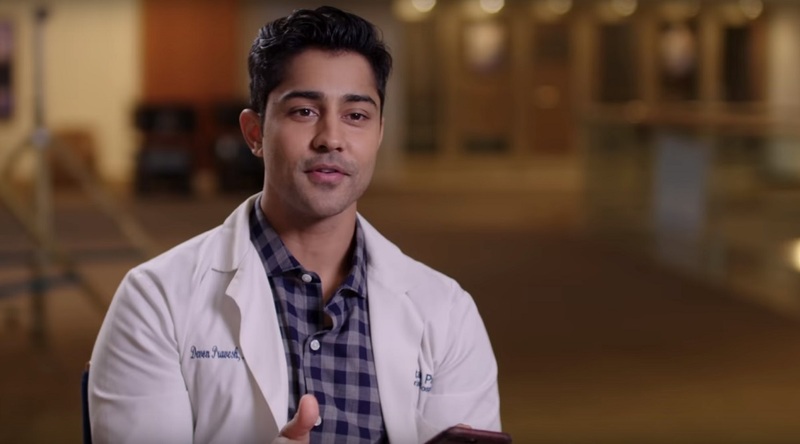 “The Resident” actor says playing a doctor helped him understand the role of South Asian/Indian American doctors. Actor Manish Dayal says Indian Americans are not represented as fully as some other ethnic groups in the US entertainment industry and it is important for entertainers from the community to create opportunities. “Even as an actor, I’m an Indian-American man in the United States of America; roles are going to be few for me. We’re not represented as fully as some other ethnic groups,” said the actor. Dayal plays the starring role of an idealistic first-year medical resident in Fox’s The Resident that started premiering this week. Dayal’s role as Dr. Devon Pravesh sheds light on the dark side of American healthcare system. Though the medical drama portrays common medical emergencies, it is much more than a prime-time medical series. “It’s a bit darker and [more] character-driven,” he said. “It’s a new way to talk about what it means to be a doctor in a hospital in the United States. It’s a very cutthroat and very competitive field to be in, especially today,” the actor said. The dreams of the optimistic doctor are being shattered by the politics of healthcare in the drama. While Indian doctors are a majority in the world, they are not well represented in movies and serials. The Hundred-Foot Journey actor said he realized the role of South Asian/Indian American doctors while he was preparing for the role. Dayal credited his parents for teaching him to excel and being entrepreneurial. Born in California to Indian immigrants Dayal started his career appearing in commercials. In 2008, he played the lead in The New Group’s twice-extended off-Broadway show Rafta, Rafta. The 34-year-old actor has appeared in several films including Indian beauty, The Sorcerer’s Apprentice, White Frog, and Viceroy’s House, and TV premiers including CSI: Crime Scene Investigation, Rubicon, and Agents of S.H.I.E.L.D.